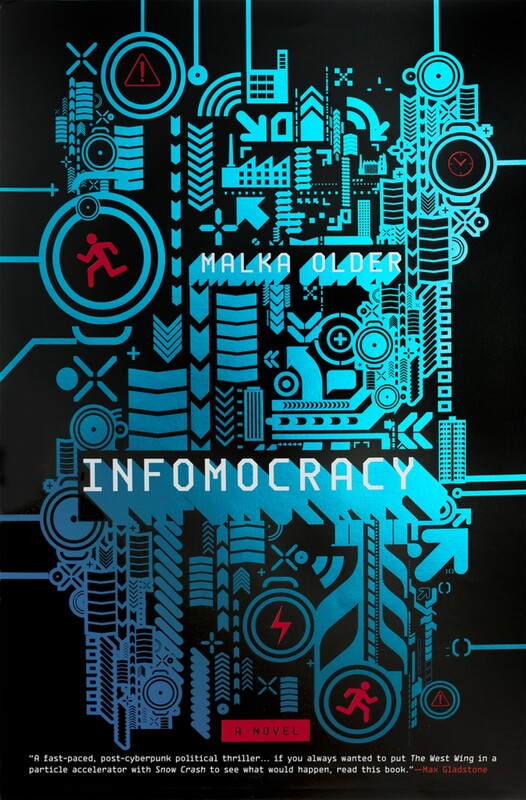 Malka Older’s debut novel Infomocracy made a huge splash last year — The Huffington Post called it “one of the greatest literary debuts in recent history,” and it was named one of the best books of the year by The Washington Post, The Verge, Flavorwire, Kirkus, and Book Riot. In the SF community, it was a Locus Award Finalist for Best First Novel. 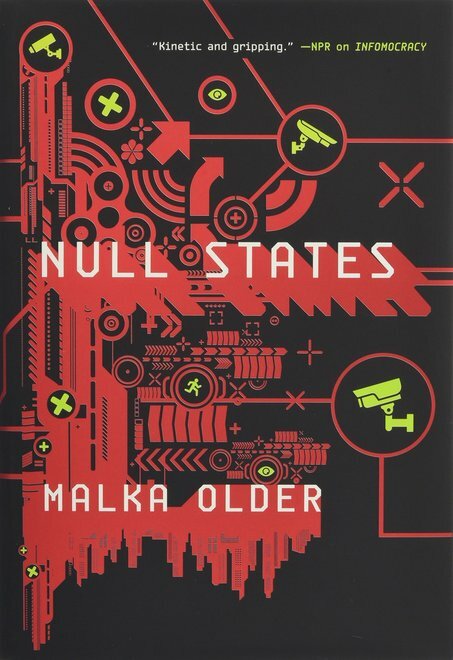 It’s no exaggeration to say that the sequel, Null States, is one of the most anticipated novels of the year. It arrived in hardcover in September, and has been widely praised. Here’s Liz Bourke at Tor.com. Science fiction is frequently about power and revolution, seldom about the technical stuff that makes power possible — seldom about governing, as opposed to governments in crisis. Null States, like Infomocracy, feels refreshingly new and strange — wondrously strange, in fact — because of its focus on the nitty-gritty of how things get done, and how things can be done, and whether or not this is a stable system or one whose equilibrium has reached a tipping point of some kind. Something I discovered only recently: Malka Older is the (older?) sister of Daniel Jose Older, author of the Bone Street Rumba trilogy. Daniel has a lively and entertaining interview with his sister (and her two-year-old daughter) concerning Infomocracy at Tor.com. If you’re like me and haven’t gotten around to the first volume yet, you may find the description for Infomocracy handy. Here’s the back cover for Null States. 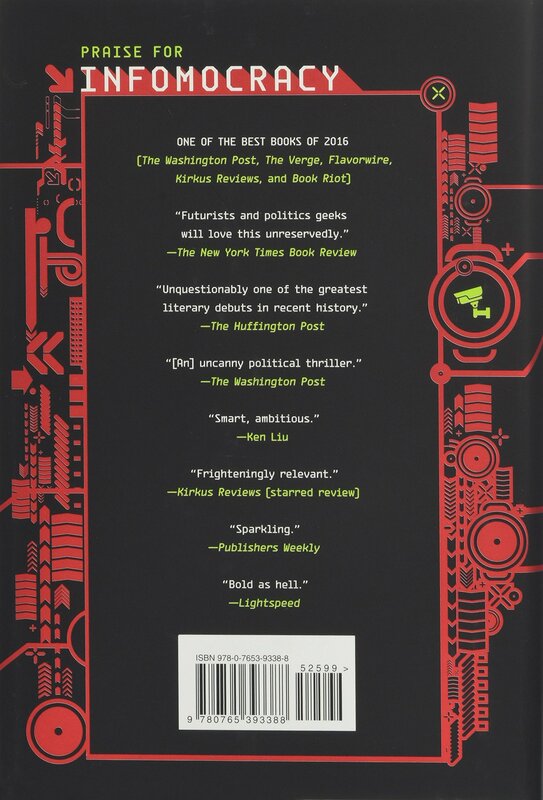 Infomocracy was published in hardcover by Tor.com on June 7, 2016, and reprinted in trade paperback on August 8, 2017. It is 400 pages, priced at $15.99 in trade paperback, and $9.99 for the digital edition. The cover is by Will Staehle. Get more details here, and read the first five chapters here. Null States was published in hardcover by Tor.com on September 19, 2017. It is 432 pages, priced at $25.99 in hardcover, and $12.99 for the digital edition. The cover is by Will Staehle. Get more details here, and read Chapter One here. See all our recent coverage of Series SF and Fantasy here.